Summary: Rumors of a merger deal between China Shipping and Cosoc have been floating for half a year. Both companies suspended trading their shares at the start of August. Discussions are complex and would require government and regulatory approval that has proved difficult to predict. If successful, the deal would create the world’s fourth largest container operator by capacity. 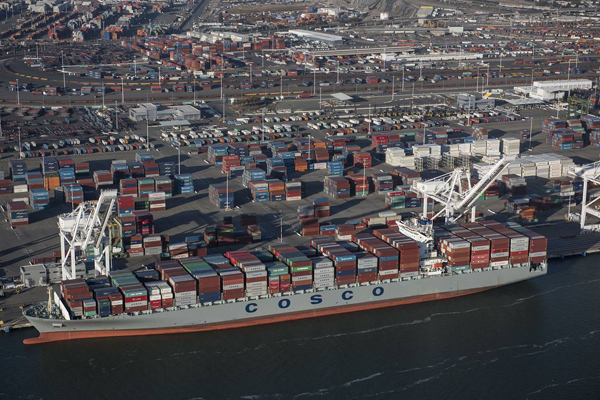 Rumors of a merger deal between China Shipping and Cosoc have been floating for half a year. Both companies suspended trading their shares at the start of August. Discussions are complex and would require government and regulatory approval that has proved difficult to predict. If successful, the deal would create the world’s fourth largest container operator by capacity. In a statement to the Shanghai Stock Exchange, China COSCO said after market close on October 13 that its trading halt would not last more than another month and it will announce important strategic developments within five trading days. China Shipping echoed with a similar statement. The merger will mostly involve the groups’ container-shipping units — Cosco Container Lines Co. and China Shipping Container Lines Co. — although other units of the two groups, such as their tanker and terminal-management operations, may be involved to a lesser degree, one person familiar with the situation said. Cosco Container Lines operates 175 container vessels and CSCL operates 156, making them the world’s sixth and seventh largest container companies in terms of capacity, with a combined global container capacity share of around 8 percent. COSCO and China Shipping are currently the world's sixth and seventh largest container shipping firms, respectively, according to consultancy Alphaliner. The merged entity would become the world’s fourth-largest container company, behind the Maersk Line unit of Denmark’s A.P. M?ller-M?rsk A/S, Geneva-based Mediterranean Shipping Co. and France’s CMA CGM S.A. Meanwhile, China Merchants Energy Shipping (CMES) and Sinotrans & CSC Group are also reportedly in talks about a potential merger, but the two state-owned enterprises have stated that the merger remains unconfirmed. China’s maritime space is undergoing significant consolidation at present – not just with the lines, but also at shipyards and ports.